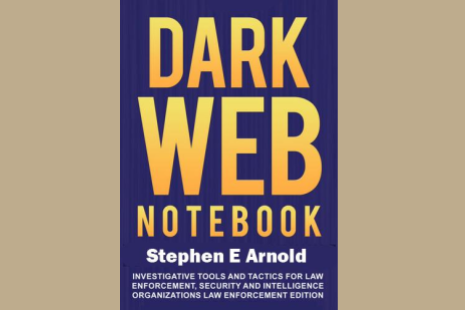 The Dark Web Notebook is the practical guide to the digital underworld used by criminals and terrorists, written specifically for law enforcement, intelligence, and corporate security personnel. 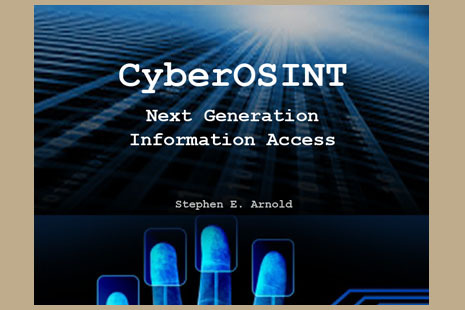 Stephen E. Arnold’s definitive overview of Next Generation Information Access systems for law enforcement, security, and intelligence services. Helping your brand and products stand out in a crowded industry environment. Stephen E. Arnold’s review of the Enterprise Search market with a focus on the leading vendors’ offerings. 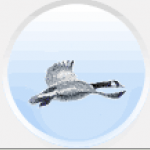 Read Stephen E. Arnold’s squawkings on the latest goings-on in search, content processing, and related technologies. Each day ArnoldIT brings you information about search, analytics, and content processing. There is a backfile of more than 9,000 articles. 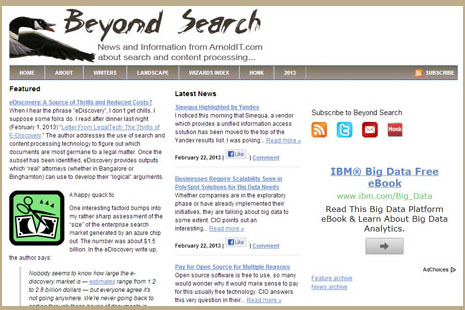 Beyond Search avoids the soft shoe approach taken by many free information services. Content is searchable and updated seven days a week. Click here to access Beyond Search. Search Wizards Speak consists of more than 60 interviews with developers, search vendor managers, and sector specialists. For a listing of the available interviews, navigate to the Search Wizards Speak index page. There is no charge for the content. Stephen E Arnold will present a lecture based on his latest book Dark Web Notebook at the 2017 Techno Security & Digital Forensics Conference September 18-20 in San Antonio. Information about the conference is available at www.technosecurity.us. Updated 15 June, 2017. ArnoldIT offers a range of social content marketing services. 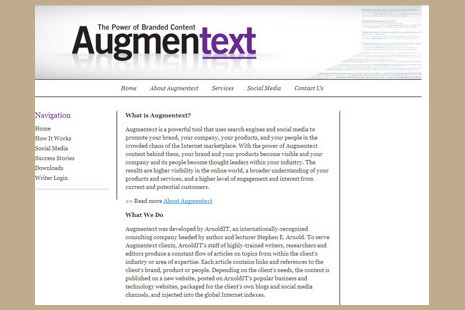 For more information, navigate to the Augmentext Web site for case studies and explanatory information. Lift your marketing to the next level with our content system and method. 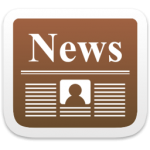 ArnoldIT publishes a monthly, opt-in newsletter. The feature article presents information not included in Beyond Search and Stephen E Arnold's columns for traditional publishers. 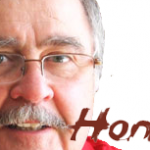 Sign up today and get the inside scoop from Honk!, a candid look at search and related disciplines. 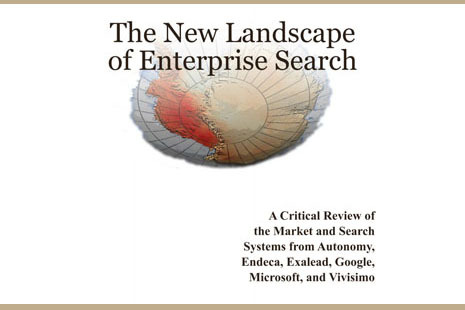 New subscribers receive a free copy of The New Landscape of Enterprise Search, published in 2011 by Pandia Press. A partial listing of our professional services is available this link. We serve organizations worldwide, including start ups, established commencial enterprises, and government entities. If you have a particular issue and you want to know if the more than 40 professionals on the ArnoldIT team can help, write us at seaky2000 at yahoo dot com.